What do a mysterious southern sheriff, a car thief disguised as an Elvis impersonator, the Japanese Yakuza, the mafia, a locked metal briefcase, a couple of beefy goons, and a washed-up investigative journalist on the brink of a major breakthrough…all have in common? There is a rich tradition in the area of Elvis fiction. From humble beginnings in the early 1980s when only a handful of titles existed, today we see numerous novels with an Elvis theme published every year. Elvis fiction now ranks as an important library in itself. 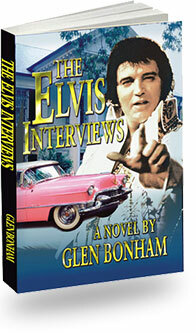 One of the latest offerings is “The Elvis Interviews” by Glen Bonham. Living up to its back cover description, The Elvis Interviews is a rollicking roller coaster ride meshing fact and fiction in an exciting adventure as the game is on to steal Elvis’ Pink Cadillac from Graceland. A handsome, sixty-something Kansas sheriff, Jesse Smith, pulls over a 1955 pink Cadillac for speeding. No sooner has the sheriff sent the driver on his way with a speeding ticket and a warning—when something about the caddie begins to bother him…. 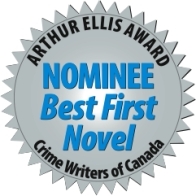 A strength of The Elvis Interviews is the author’s engaging writing style. There is a dynamic force to Bonham’s storytelling as the reader’s interest is quickly engaged. His prose is one which flows effortlessly. Bonham uses a nice balance between descriptive narrative and character conversation, and this heightens our interest and fuels our motivation to read on to the next twist or adventure. quickly from scene to scene (read R.W. Moore’s comments below) keeping the pace lively and making us wonder what is next in store. As a device the chapter structure creates great momentum. Bonham’s characters are well drawn, and importantly, they are interesting. Be it J.J., Vinnie, Ed, Frank, Nick, Heavy or Sheriff Jess….they all ooze interest. The narrative itself permeates its Elvis theme nicely with even-handed doses of Elvis iconography… Pink Cadillac, Graceland, the Memphis Mafia, the Blue Moon Boys, Las Vegas, and of course The King himself. The 21 Club’s owner was a sinister-looking guy with a barrel chest whose weasel-like, penetrating grimace registered everything and unnerved those in his path. The next morning Ed opened his eyes to a vicious axe-like pain resonating from his skull. The digital clock on the night-stand was flashing 10:00am. Once again, he had far overshot his whiskey limit the night before. Without giving anything away, Bonham has cleverly constructed a denouement which will please conspiracy fans. Many fans have not experienced the interesting and stimulating world of Elvis fiction. In this respect, The Elvis Interviews is a very good place to start. You will find a literary world very different to that normally associated with The King and his music. Verdict: If you like good, old fashioned storytelling, full of twists and turns and liberal doses of Elvis infused adventure, then you will love The Elvis Interviews. It is a book which leaves you wanting more (and thankfully a sequel is in the works). Read it and be very pleasantly entertained.